A prominent and outspoken Thai intellectual and social critic and one of the founders of the International Network of Engaged Buddhists (INEB). He is a teacher, a scholar, a publisher, an activist, the founder of many organisations, and the author of more than a hundred books and monographs in both Thai and English. was born in Bhutan in 1961, and was recognised as the main incarnation of Dzongsar Khyentse (1894-1959). From early childhood, he has studied with some of the greatest contemporary masters, particularly H.H. Dilgo Khyentse Rinpoche. From a young age he has been active in preserving the Buddhist teachings, establishing centres of learning and practice, supporting practitioners, publishing books, and teaching all over the world. Dzongsar Khyentse Rinpoche supervises his traditional seat of Dzongsar Monastery and its retreat centres in Eastern Tibet, as well as his new colleges in India and Bhutan. He has also has established centres in Australia, North America, and the Far East that are gathered under Siddhartha’s Intent. He is also known as Khyentse Norbu, the Bhutanese lama, filmmaker, and writer. His two major films are The Cup (1999) and Travellers and Magicians (2003). Is the Vice Chairman of the International Network of Engaged Buddhists (INEB), the Project Director of the Wellbeing Society Scenario Project at the School for Wellbeing Studies and Research, (under the Gross National Happiness movement), as well as the co-owner of the Garden of Fruition Publishing House, a pioneering social enterprise in Bangkok. Is the current Chairperson of INEB, as well as the founding Chairperson of the Sewalanka Foundation, a leading Sri Lankan non-governmental development organization. He was the Field Director and Vice President of the Sarvodaya Shramadana Movement, and later he became an Advisor to the late President Premadasa?s Janasaviya Poverty Alleviation Program and his 15,000 Village Development Program. Harsha is an award-winning film-maker, and a passionate peace builder and mediator. Is currently the Director of the Secretariat for the Indigenous Peoples of Africa Coordinating Committee based in Cape Town, South Africa. He is an occasional consultant to UNESCO’s Division for Cultural Policies and Intercultural Dialogue, and is the Director of the South African National Language Project. Nigel is currently cooperating with the Technical Centre for Agricultural and Rural Cooperation on developing participatory mapping related training materials. Is a biologist and former research group leader at the UK Health Protection Agency and member of the New York Academy of Sciences. He is the co-founder of the Ecological Buddhism project and the Buddhist Climate Project, where he has co-edited with David Loy the recently published title ?A Buddhist Response to the Climate Emergency?. Is a co-founder of the Ecological Buddhism project and the Buddhist Climate Project with her husband John Stanley, which was established as an educational resource for the international Buddhist community to address issues surrounding global warming. They both are based in Galway, Ireland, and have practiced Tibetan Buddhism in the Nyingma tradition for three decades. Is a teacher, researcher and social, activist for peace and justice who has worked in South and Southeast Asia as well as southern Africa. He is currently Associate Professor at the University of Madras, in the areas of Alternative Dispute Resolution, Peacebuilding, Democratization, Education, and Civil Society. He is also a founder of the Buddha Smiles (India), a program on education, peace and development of children in India and the Burmese refugee community living in India. Was born and raised in Thailand, but has lived in San Francisco since 1988. She has been involved with refugee and immigrant work for over twenty years. Over the past few years, Anchalee has worked as a multi-language advocate for survivors of domestic violence at a battered women?s shelter in San Francisco. 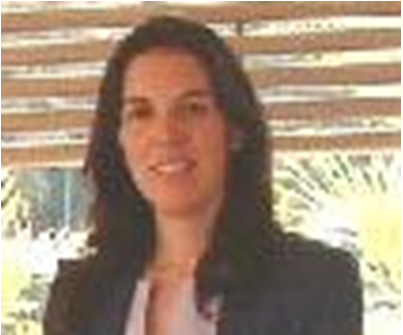 She has served on the board of BPF since 2004, and is also on the Executive Committee of INEB. Is the general secretary to the board of Siddhartha’s Intent India (under the direction of Dzongsar Khentse Rinpoche), a Supreme Court lawyer, and a trustee of the Dalai Lama Trust. He has been a student of Lama Zopa Rinpoche of the Root Institute for more than 20 years, where he also teaches Buddhism to Indian students. Is the Founder and president of the Jambudvipa Trust based in Pune, India. The Trust envisions a society free of caste and other social barriers, in which all people, whatever their background can participate fully. Dhammachari Lokamitra is a well known in the Buddhist world, ordained into the Western Buddhist Order (WBO) in 1974 by Sangharakshita, a trusted associate of Dr. Ambedkar. He has been living in India since 1977, and his life and mission is dedicated to movement of Babasaheb Ambedkar. Is vice-abbot of the Berkeley Zen Center, where he lives with his family. Alan is founder of the Clear View Project, developing Buddhist-based resources for relief and social change. 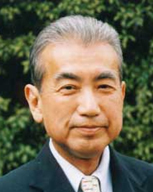 He is Senior Advisor to Buddhist Peace Fellowship. In another realm, Alan has been a student and performer of American traditional music for forty-six years. Has been working with the International Network of Engaged Buddhists (INEB) for the last twenty years, first as staff and later as executive board member. He coordinates Think Sangha, a socially engaged Buddhist think tank affiliated with INEB. He presently resides in Kamakura, Japan, where he is writing a book on socially engaged Buddhism in Japan with the International Buddhist Exchange Center and is also involved in spiritual preparation for death issues with the Jodo Shu Research Institute. 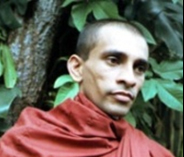 Vidyananda is Buddhist practitioner and entrepreneur who has been teaching Buddhism for many years. Together, Wai Leng & KV Soon founded Learning Beyond Schooling to encourage and explore alternatives in education, i.e., homeschooling and other approaches and help parents understand their children, as well as maximize their potentials. They are founders of FamilyPlace, Malaysia?s first online parenting and family website in 1997, funded by the National IT Council. Vidyananda is currently the Vice-president of the Buddhist Missionary Society Malaysia as well as the Chairman of it Shah Alam Branch. He continues to be very passionate in the use of technology in community development, teaching and education, leading to spiritual & social change. Roshi Joan Halifax is a Zen Buddhist teacher, anthropologist, author, and pioneer in end-of-life care. 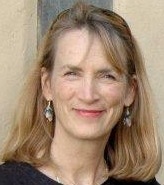 She is abbot and head teacher of Upaya Zen Center and Institute in Santa Fe, New Mexico; founder of the Project on Being with Dying, the Upaya Prison Project, and the Ojai Foundation; co-founder of the Zen Peacemaker Order; and author of nine books, including Being with Dying: Cultivating Compassion and Fearlessness in the Presence of Death. He is an electronic engineer by education. After a brief stint as an officer in the Ministry of Commerce, he left the job in order to work with Jambudvipa, part of the FWBO/TBMSG family founded by Sangharakshita to promote the advancement of ex-Untouchable Buddhists in India. He is involved in publicity, and works closely with Dhammachari Lokamitra. He is also on the Executive Committee for INEB. Jill Jameson has been practicing Zen Buddhism for over twenty years as a student of Aitken Roshi and other teachers in the Diamond Sangha. She has been working with local communities in Asia as a trainer in peacebuilding and leadership-training skills, drawing on Buddhist principles and practice, with a commitment to active non-violence and inter-faith dialogue. Jill is a founding member of the Buddhist Peace Fellowship Melbourne Chapter, and was recently appointed to the International Advisory Council of BPF. Is the Director of Deer Park Institute (under the guidance of Dzongsar Khyentse Rinpoche), Prashant is also the Secretary to the Board of Siddhartha’s Intent India. He is a member of INEB ‘s Executive Committee and a former student of INEB?s ?Young Bodhisattva? trainings. Is a writer and photographer, and the founder and Executive Director of Nekorpa, an organization committed to the preservation of sacred pilgrimage sites and traditions. His images and writings about Himalayan cultural, political, and spiritual landscapes have appeared in an array of magazines and journals. He is the author of ?In the Shadow of the Buddha; Secret Journeys, Sacred Histories and Spiritual Discovery in Tibet?, and is currently on the Board of Directors of Rigpa USA, the Conservancy for Tibetan Art and Culture, and the Executive Committee of INEB. Spent 32 years teaching as an associate professor at the Department of Philosophy and Religions at the well known Thammasat University in Thailand, before becoming the first ordained Bhikkhuni in Thailand. She is currently Abbot of the Songdhammakalyani Temple, where she devotes her energy to training programmes for nuns, and works to establish the lineage of full ordination for women in Thailand. Is a social activist involved in the Eco-village movement in Thailand. She is currently Director of Wongsanit Ashram, an eco-community based on engaged spirituality, and co-founded by Ajarn Sulak Sivaraksa. She is also the coordinator for the Global Ecovillage Network in Thailand, and the global Ecovillage Design Education programme (under Gaia Education). Is the co-founder of the Garden of Fruition Publishing House, a pioneering social enterprise in Bangkok involved in a range of social projects including Green Marketing, and the School for Wellbeing (under the GNH movement). She is a board member of the Green Market Network, which established the first Farmers Markets in Bangkok, and a member of the INEB Executive Committee. Is an alumni of INEB?s ?Young Bodhisattva? training. He has been working in the field of environmental sustainability and grassroots leadership in Myanmar, and is currently the founder and director of the Buddhist Youth Empowerment Programme, which is building youth awareness and action in community development and peace-building. Bobo is also a member of INEB?s Executive Committee. Ankit Pogula is an independent film-maker based in Delhi. He has been engaging with youth groups on issues of Development, Identity, Environment, Self and Media for the last 5 years. He often extends these engagements into film-making processes, where the participants take these films back to their spaces for sharing and further engagement there. He seeks to draw linkages between our own lives and larger phenomena happening around the world. 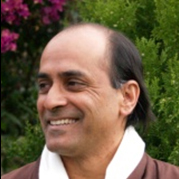 Jeyanthy Siva is the founder and director of the Sandhi Institute (www.sandhi.org), a centre for the study and practice of Nonviolent Communication as a tool for transformation at individual, interpersonal and systemic levels. She has trained change makers and their teams in interpersonal communication, conflict resolution and group decision-making process. She also offers coaching to leaders the not-for-profit and educational sectors; community level and in business as well as to individuals aspiring to lead a more authentic and self directed life. Christiaan Zandt (1974) was trained as a historian, later on as a ?buddhologist? (by Prof. Peter Harvey of Sunderland, UK). He works as mediator and trainer, drawing inspiration mainly from his experiences with Nonviolent Communication, wisdom from the Buddhist traditions and the art of Aikido. Christiaan wrote ?Uprooting sprouts of violence, cultivating seeds of peace: Buddhism and the transformation of personal conflict’ which was published in Buddhist Roles in Peacemaking. How Buddhism Can Contribute to Sustainable Peace (Blue Pine, Honolulu, 2009). Suresh Chandra Bauddha, The President of Youth Buddhist Society(YBS), is founder of The Youth Buddhist Society through the great inspiration of his late father. His aim is to “Create peace in the world through Buddhist ideology“. Thilak Kariyawasam is the Coordinator of the SLNF Secretary of the Sri Lanka Nature Forum, and also a member of the executive committee for the Lankan Organic Agriculture Movement (LOAM). Dr. Ven. Tsering Palmo is the first Ladakhi nun trained in traditional Tibetan medicine. Since 1994, she has been working to help the Ladakhi nuns, and founded the Ladakh Nuns Association (LNA). She has the support of Most Ven. Redzong Sras Rinpoche, who now serves as the patron of the LNA, along with the heads of the remaining three sects of Tibetan Buddhism, including the Dalai Lama. 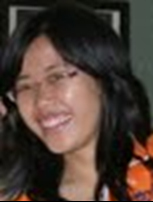 Poolchawee Ruangwichatorn is a Thai Buddhist woman and staff of the Spirit in Education Movement (SEM), as well as on INEB?s Executive Committee. She facilitates workshops for peace, non-violence and spirituality in Thailand. More recently she has been assisting Ven. Phaisan Visalo and his Buddhika Network for Buddhism and Society in developing a network of religious and medical professionals working for more integrated spiritual and physical care for persons at the end of life. Brother Lim Kooi Fong is the Founder and Managing Director of The Buddhist Channel, based in Kuala Lumpur, Malaysia. Phra Thanomsing Sukosalo is the President of the Dhammadrops Foundation, abbot of the Doi Pha Som forest temple, and editor of Moon Magazine. Ken Low has been working in the area of new business start-up for the past 6 years starting from his time at Exploit Technologies, the commercialization arm of the Agency for Science, Technology and Research (A*STAR). Whilst his involvement centers on the high technology space, he believes that the same rigorous evaluation criteria can be adapted into social enterprises where in addition to profit; the people and the planet should also be factored into the bottom-line of the business. It is with this view and a desire to make an impact in developing countries that his involvement in the Right Livelihood Fund began. He is now only an engineer when he needs to fill in form, although he still finds some usefulness in his engineering background when teaching mathematics to his kids. Ven. Sumati Sasana, after studying at Oxford, returned home to India to work for Lama Yeshe and Lama Zopa Rinpoche. Ven. Sumati helped establish the Root Institute in Bodh Gaya, and taught there as well. He has also taught at Tushita Dharamsala, Tushita Delhi, Himalayan Yogic Institute Kathmandu, Nepal, and was a teacher trainer at Maitreya Project Universal Education School in Bodh Gaya. He was ordained as a novice monk in January 2002 and as a full monk with His Holiness the Dalai Lama in March 2003 in the Tibetan tradition. He is interested in children?s and adult education, environment, and staying sane in an increasingly insane world. Is recognised as an expert on the issues of Buddhist economics and sufficiency economy philosophy. 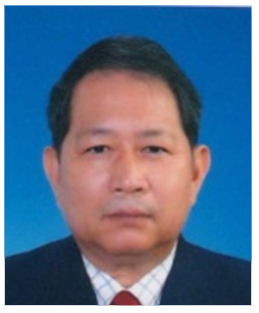 He is the director of the Rural and Social Management Institute (RASMI) and a coordinator of the Sufficiency Economy Movement Project of the Thailand Research Fund. 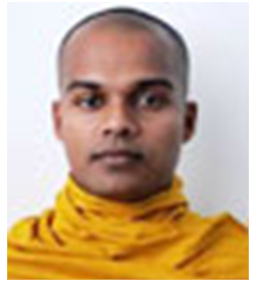 Is a Sri Lankan Buddhist monk who has been working with the Sewalanka Foundation since 2006. At the Sewalanka Foundation, he facilitates inter-religious dialogue and is a trainer for conflict sensitivity for staff, young clergies and youth leaders. 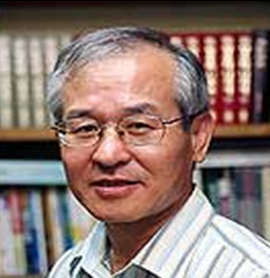 is a Buddhist professor at Sogang University in Seoul and co-representative of the Korea Institute for Religious Freedom. He serves as co-representative of Buddhist Solidarity for Reform, co-representative of the Korea Institute for Religious Freedom and a mediator of the National Human Rights Commission of Korea. Is a future looking Japanese Buddhist priest who established a micro-credit ?Future Bank?, is developing buildings/houses to last 100 years, and is now working for a nuclear free Japan. He is one of the leaders of Japan?s Inner-Faith Forum for the Review of the National Nuclear Policy. 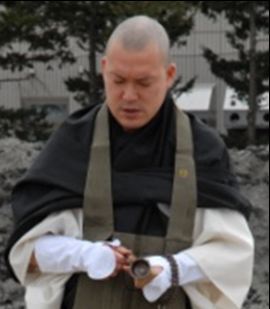 is a monk of Pureland-Buddhism (Jodosyu) and belongs to the Japan Network of Engaged Buddhists (JNEB). 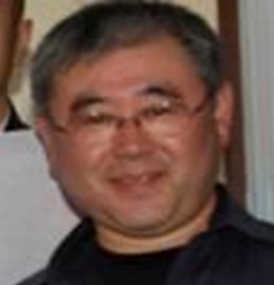 was an economics professor at Ryukoku University in Kyoto. He worked as a researcher specializing in Southeast Asia with a focus on Sri Lanka on south India for nearly 25 years He co-chaired the Pacific Asia Resource Centre which is one of Japan?s leading advocacy NGOs. Prof. Jun Nishikawais with the Faculty of Economi; Ph.D (Waseda University), Research Director, Graduate School of Asia-Pacific Studies and the Executive Director, Institute of Taiwanese Studies, Waseda University. is a founder of the Interreligious Alliance for National Unity, the major organization in Sri Lanka’s fledgling peace movement. is a leading alternative writer in Myanmar and works with civil society to promote peace. His back ground is as an orthopaedic surgeon and also publisher of literary magazine Chindwin and editor of Style-thit monthly magazine. is the Convening Chair of the World Day of Prayer and Action for Children, a global inter-faith initiative to promote partnership for the well-being of children. 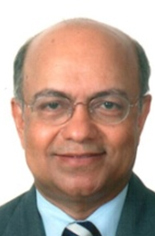 Previously, Mr. Gautam served as Assistant Secretary General of the UN and Deputy Executive Director of UNICEF. is the Vice Chairperson Sewalanka Foundation based in Colombo, Sri Lanka. She is a lawyer by profession and joined Sewalanka Foundation at its inception because of her passion for community work. received a scholarship through INEB?s Youth Exchange for Peace and Social Innovation. After the internship she began working with Dharmajala as a program officer. is the founder and president of Mplus as well as president of the Rainbow Sky. His is working to reduce worldwide discrimination of “lesbian, gay, bisexual, and transgender” issues (LGBT). founded Phytopharm plc, a drug discovery company specializing in developing pharmaceutical products based on traditional medical knowledge. He retired in 2006 after taking the company public on the London Stock Exchange. He is currently a director of the Light of Buddhadharma Foundation dedicated to rebuilding the Buddha Sasana in India. is the executive director of Arthacharya Foundation (AF) which is an NGO that is dedicated to poverty reduction in Sri Lanka. Before that he was with CILCA International, an INGO based in Mexico and USA, as well as the organizing secretary and programme director of Sri Lanka?s Sarvodaya Shramadana Movement. is an ordained Buddhist teacher in the Dhyana (Zen) lineage of the Ven. Thich Nhat Hanh and is the foremost guide to the sites associated with the Buddha. 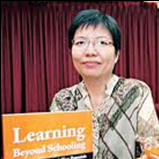 Together, Wai Leng & Vidyananda (KV Soon) founded Learning Beyond Schooling to encourage and explore alternatives in education and other approaches and help parents understand their children better and to help them maximize their potentials. They founded FamilyPlace, Malaysia?s first online parenting and family website in 1997. She has been actively helping students express and discover themselves through creativity. 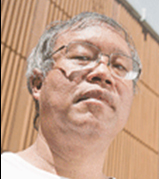 Is the Secretary General of the Association of Clinical Buddhist Studies in Taiwan. She has been a nun since 1987 and was the first monastic to be trained in this program which is hosted by the National Taiwan University Hospital and Palliative Care Unit and Hospice.